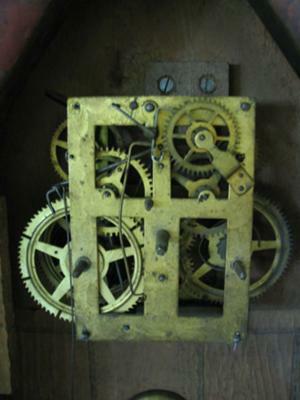 I have an old steeple clock with an Ansonia eight day 30 hour spring driven mechanism without the pendulum or any of the suspension parts to make it work. The mechanism seems to be working because the verge flutters until the spring winds down. Since these parts were lost years ago, I don't know what they look like or how to find replacements. I need a pendulum, suspension arm and attachments. Please view the attached pictures and advise me how to proceed.